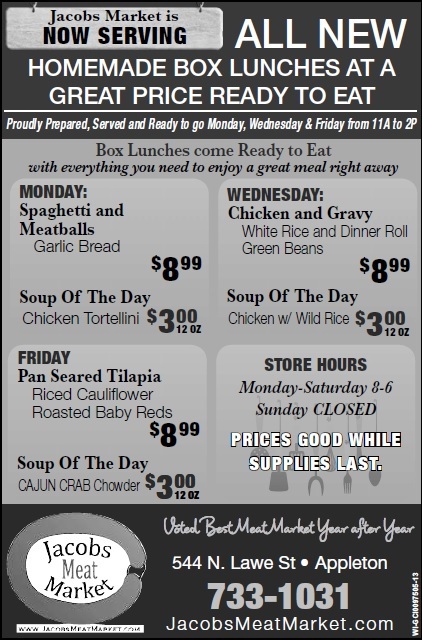 Another excellent HOT Lunch Menu for this week! Great meals with exciting soups! Serving Mondays, Wednesdays and Fridays 11-2!